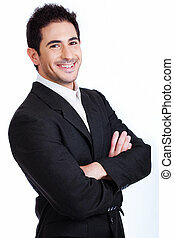 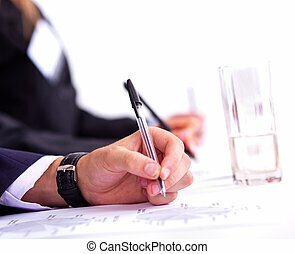 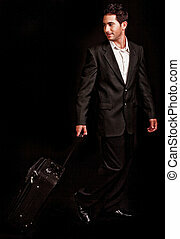 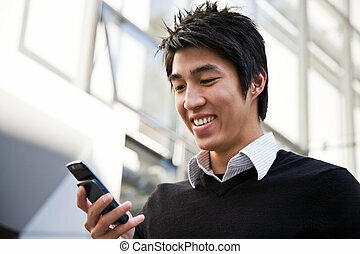 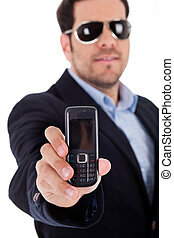 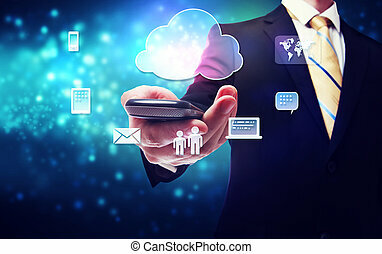 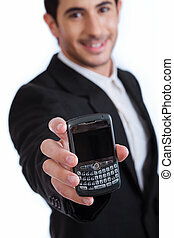 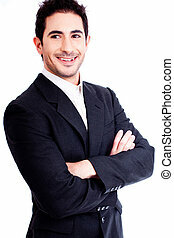 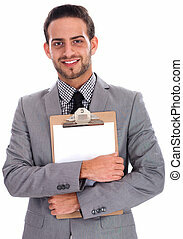 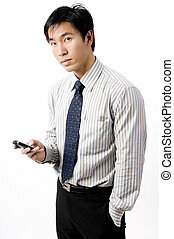 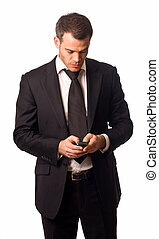 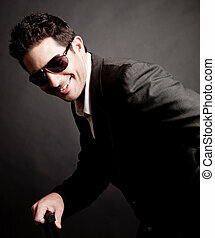 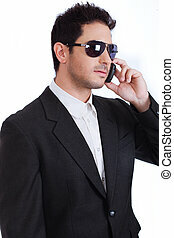 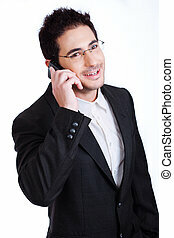 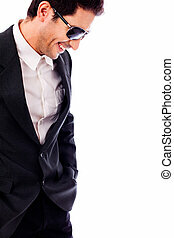 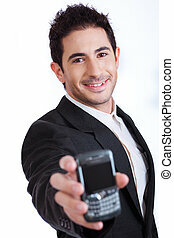 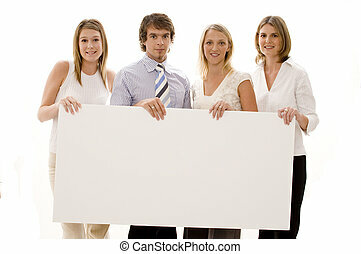 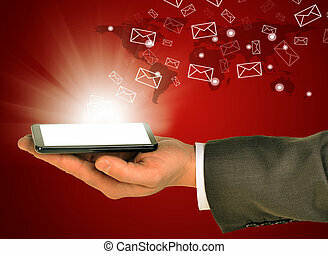 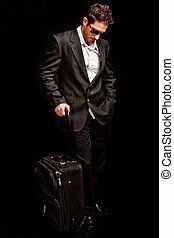 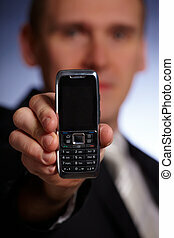 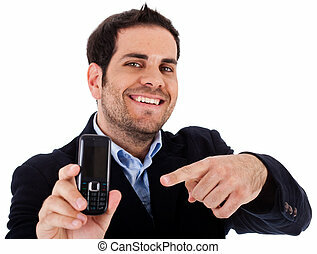 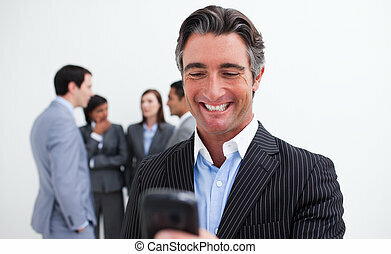 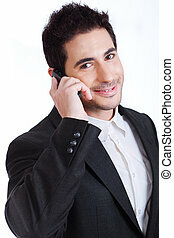 Business man holding a mobile phone on a white isolated background. 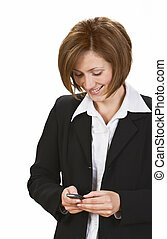 Young businesswoman checking her mobile phone. 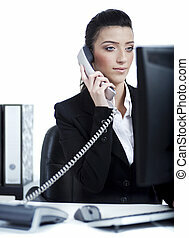 Businesswoman standing up and checking the time while calling. 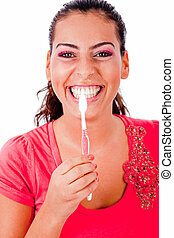 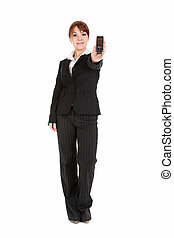 Woman pushing buttons on cellphone standing against white background. 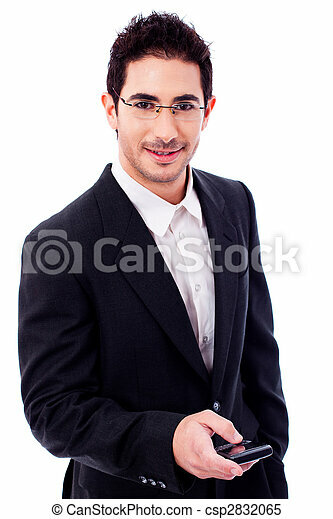 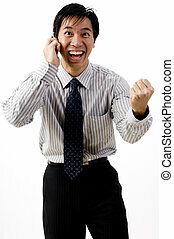 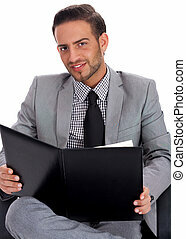 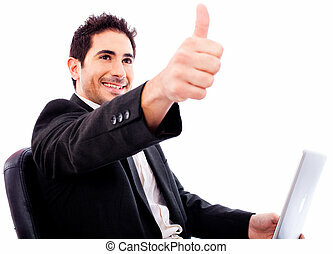 business man holding a mobile phone. 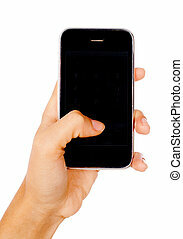 Woman hand holding mobile phone isolated on white background.